Our chickens started laying eggs about three weeks ago. I had almost forgotten that’s what they were for, they’re so fun to have around just eating garden scraps and making manure compost. Chicken TV is highly entertaining. First there were some leathery turtle-esque eggs that we found broken on the coop floor. Then one day there was a solid, smooth, real egg, medium brown and almost as big as a store bought egg. 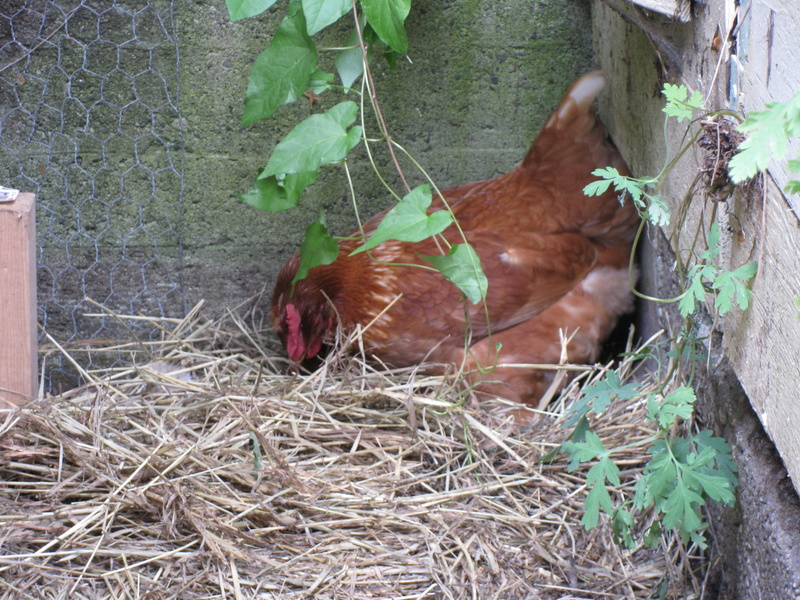 Then David discovered Cornelia in the hay outside the run, nesting down, and he attempted to bring her to the egg laying box in the coop to teach her where to lay her eggs. But, as with a small puppy, things often come out too early, and the egg plopped out onto David’s leg mid-transport and landed safely in the run. 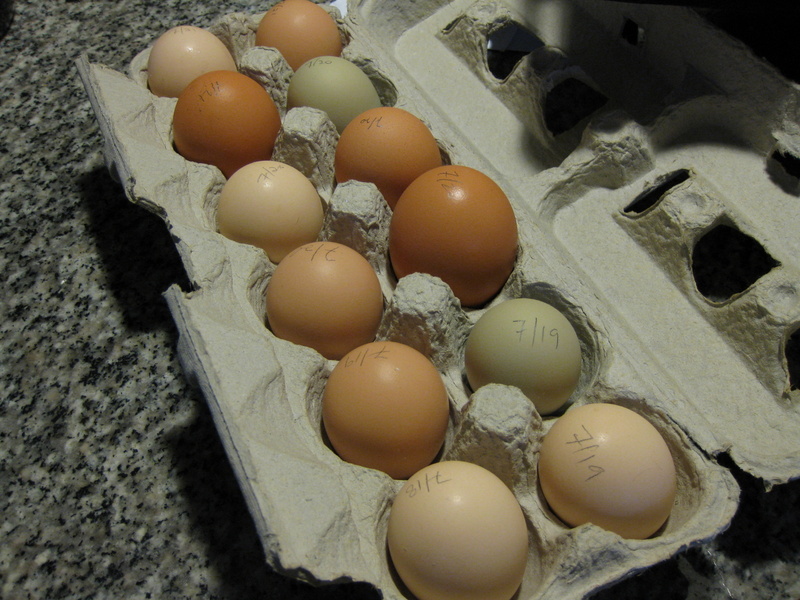 It worked though- the eggs all show up in the egg boxes now. 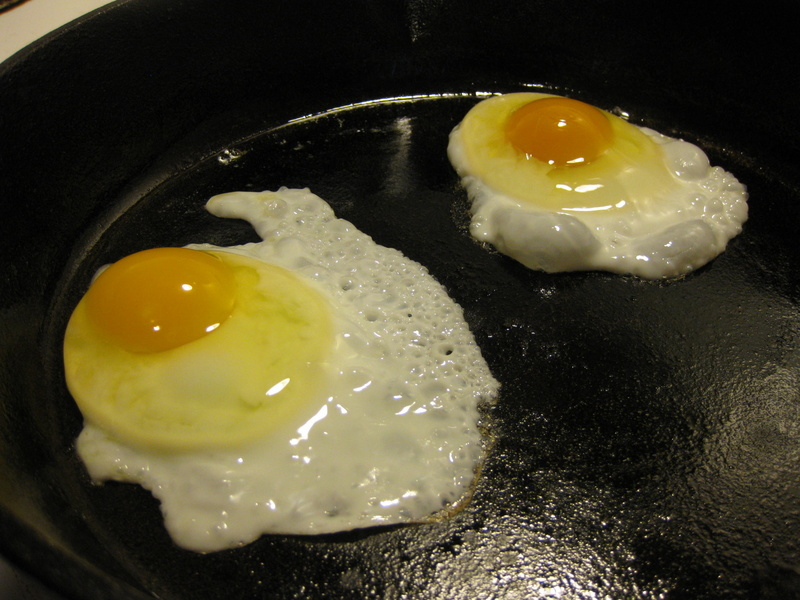 We ate those two eggs for breakfast… or whatever meal it was right after we found them. 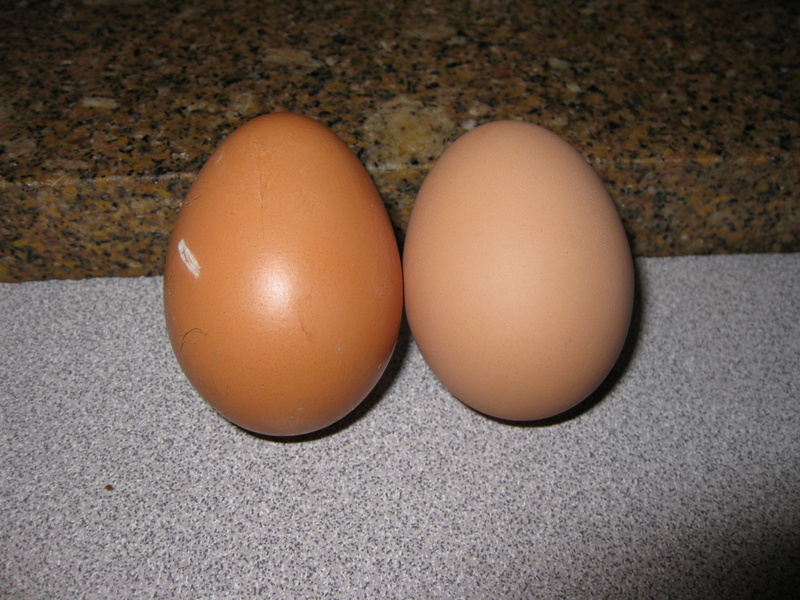 In the next couple of days, there came a tiny pale creamy brown egg, and a tiny light brown egg. Hilariously small. With shells that were difficult to break. Over the weeks the eggs have gotten bigger- the biggest are now equivalent to large store bought eggs, and the smaller are… still adorably small, but getting there. We can’t tell whose egg is whose, but we know that the golden and black star (Cornelia and Agnes), the Plymouth barred rock (Amelia), and the buff orpington (pearl) are all laying. In the last 3 days a blueish-greenish-greyish egg has appeared, most likely from Mabel, the golden brown ameraucana. They go into this funny mating pose when we reach for them now, instead of squawking and running away. I’ll have to get a picture of it one of these days. Because there are many hours of sunlight during the summer, we’re getting 4 or 5 eggs every day now, which is crazy! We’ve given some to our closest neighbors (who have to deal with the most egg songs (loud cackling pre- and post-egg laying)), took some to a brunch at which everyone got one small fried egg, and have a list of people we’d like to give more to. I’m also hoping to trade some for fresh berries or fruit or homemade jam from other people’s backyards. 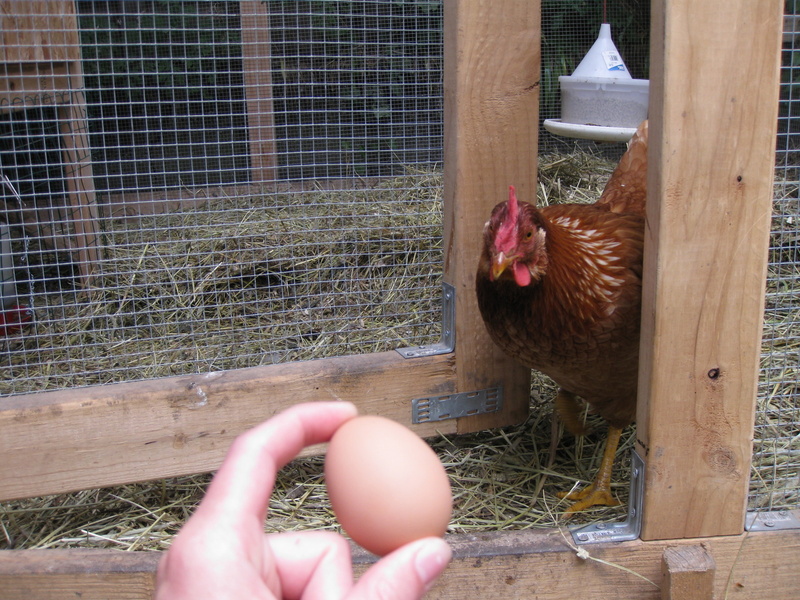 I might send an email to my work bulletin board about that… “Have fresh eggs from backyard chickens. Will trade for backyard fruit, esp. raspberries, peaches, and figs.” I’ve apparently already earned myself a reputation for being eco-friendly hippie nature girl with my notebooks made of one-sided paper, dirt constantly under my fingernails despite the millions of times i wash my hands in lab, and my eclectic bike commuting outfits from the thrift store. Point being, we have eggs now, and many of them. Whoo hoo!